Elizabeth Becker is currently in her seventh year of teaching with this being her fourth here at Melissa Middle School. Previously, she spent three years as the associate director at McKinney High School. She is a 2012 graduate of Texas Tech University where she received a Bachelor of Music Degree with teacher certification under the direction and guidance of Dr. Keith Dye. As a native of Plano, Texas, Ms. Becker attended Plano East Senior High and Clark High School. During her time at Texas Tech, Ms. Becker marched four years in The Goin’ Band from Raiderland as well as worked as an Undergraduate Teaching Assistant for the band. She was also actively involved in many other ensembles including the Court Jesters Basketball Band, the Plainview Symphony, and the Texas Tech Symphonic Wind Ensemble under the direction of Dr. Sarah McKoin. In addition to these ensembles, she studied clarinet with Dr. David Shea and taught privately in Lubbock ISD. 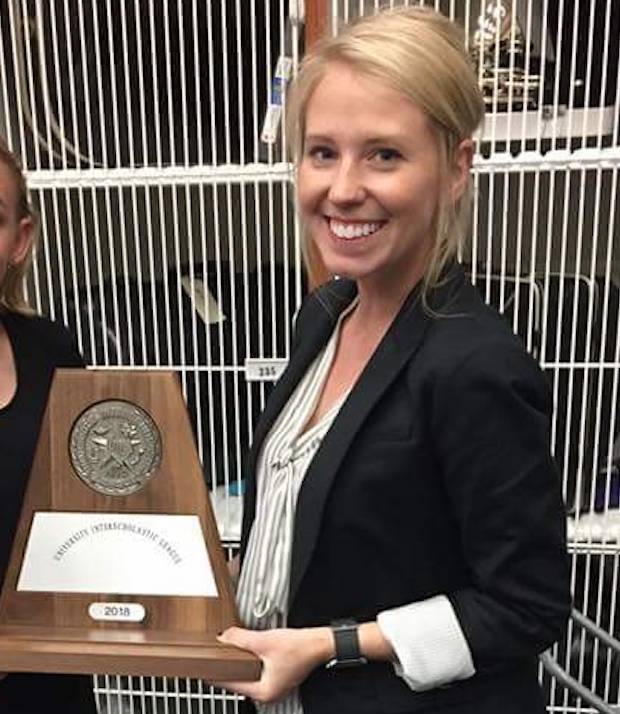 Ms. Becker is a member of Texas Music Educators Association and serves on the staff for the Texas Tech Band and Orchestra Camp which takes place each summer. Aaron Dugger is currently the assistant director of bands at Melissa Middle School in Melissa, Texas. In addition to conducting the Symphonic Band and teaching beginner brass classes, he assists with the high school bands and the Mighty Cardinal Marching Band. Mr. Dugger is a graduate of the Pennsylvania State University where he received his bachelor’s degree in Music Education and studied tuba under Professor Velvet Brown. While at Penn State, he performed with the university’s elite wind ensemble, conducted by Professor Dennis Glocke. He also performed with the Marching Blue Band, the Tuba-Euphonium Ensemble, and several chamber groups. Mr. Dugger is a proud alumnus of the Bluecoats where he was a member of the contra line in 2013, 2014, and 2015. In 2014, he was named as one of the brass performers of the year. After aging-out, he went on to teach with the Academy Drum and Bugle Corps in their very successful 2016 season. Mr. Dugger is thrilled to be joining the Bluecoat’s brass staff for the 2017 season as a low brass technician. Jerry Whorton was announced as the Director of Bands for Melissa Independent School District in March of 2016. He serves as the director of the Mighty Cardinal Marching Band and the Wind Ensemble. Mr. Whorton was previously the Director of Fine Arts and Bands at Winona Independent School District in Winona, Texas. He comes from a family of educators, of which both of his parents are retired band directors in addition to his three siblings who are currently a middle school principal, middle school band director, and an early education teacher. Having only ever earned 1st divisions at UIL competition, Mr. Whorton’s bands have received 8 consecutive years of UIL Sweepstakes awards. Under his direction, his programs have routinely increased in size as well as musicianship. Jerry's students have consistently earned chairs in the all-region band, received first divisions at Region Solo & Ensemble competition, as well as advancing to Texas State Solo & Ensemble competition. His concert bands have won the TMEA Region and Area Honorband competitions as well as placing twice as a State Finalist in the TMEA State Honorband competition. In 2013 Mr. Whorton’s band placed 2nd in the ATSSB Outstanding Performance Series concert selection with their recording of “Summer Dances”. Mr. Whorton is a 2006 graduate of Northwestern State University where he earned his Bachelors of Music Education. While at Northwestern, Mr. Whorton studied under William E. Brent, Dr. Kevin Richardson, Dr. Caroline Beatty, and Dr. J. Mark Thompson. While receiving his degree, he was the Head Drum Major for the 300-member "Spirit of Northwestern", tenor trombonist of the wind ensemble and the principal bass trombonist of the Natchitoches-Northwestern Symphony Orchestra. Jerry and his wife, Alexandria, look forward to joining the Melissa Cardinal family in the early summer of 2016.